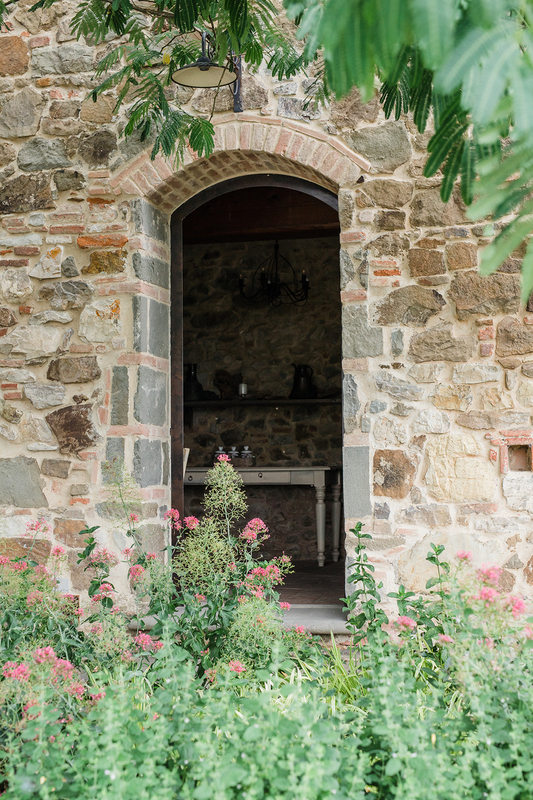 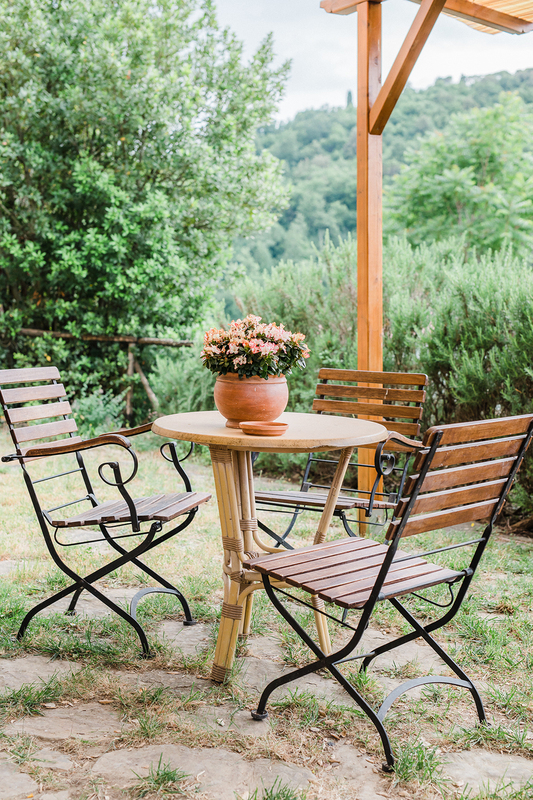 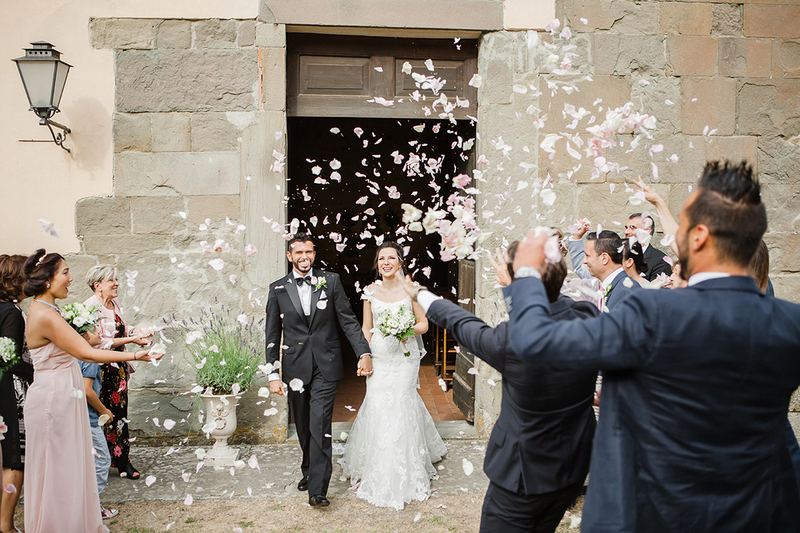 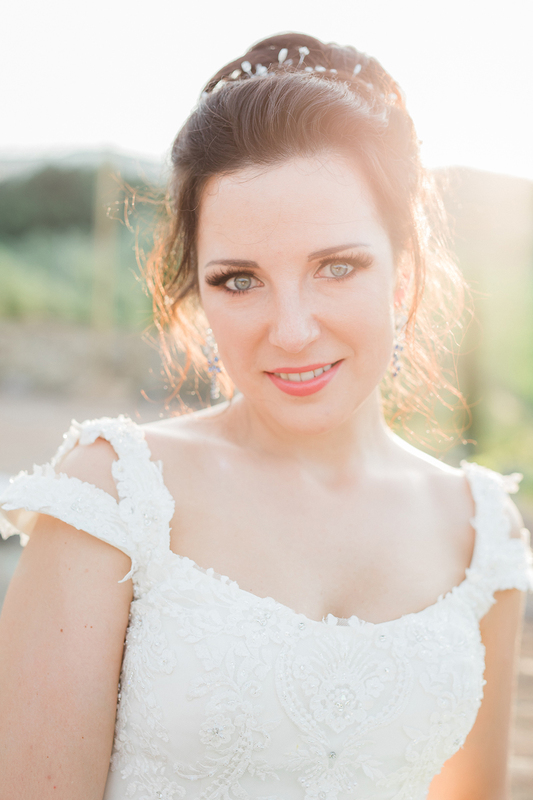 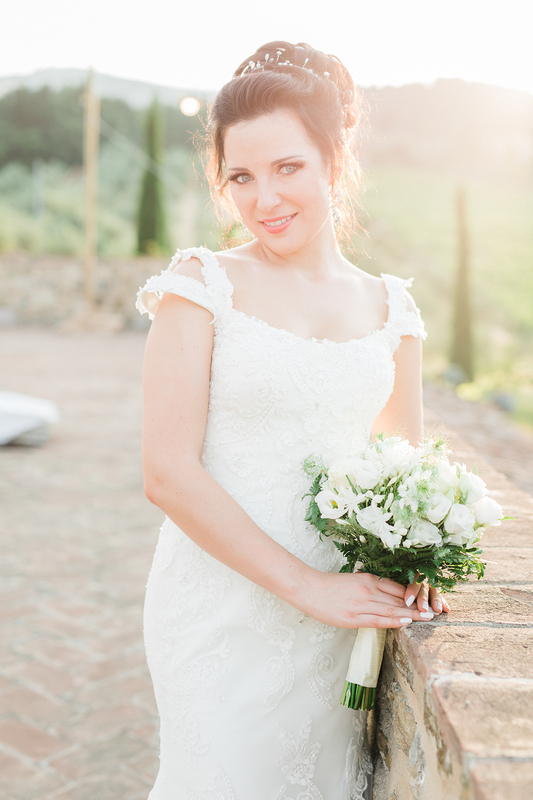 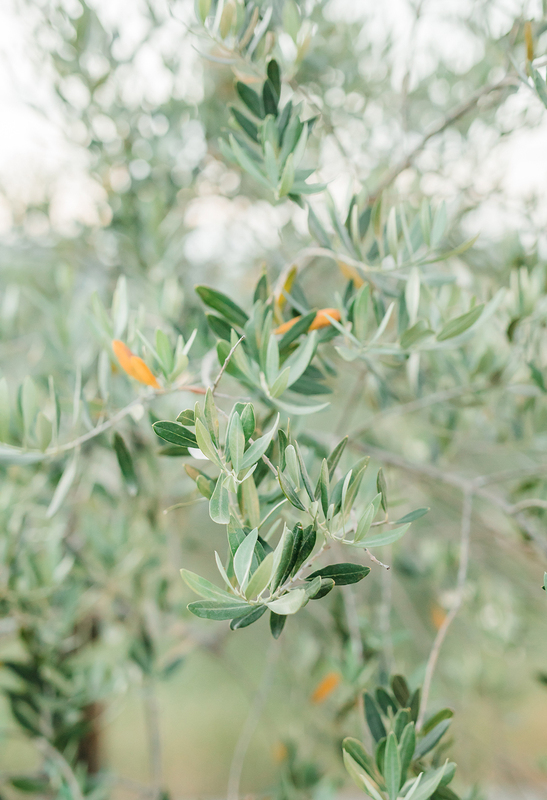 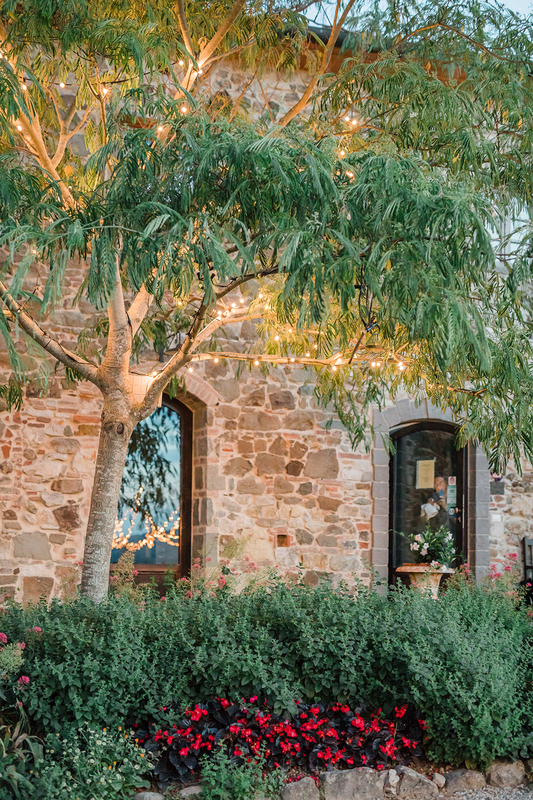 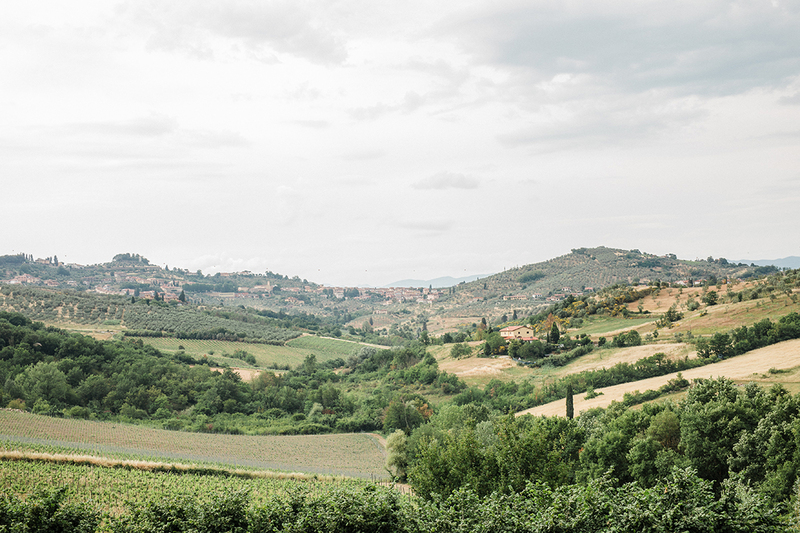 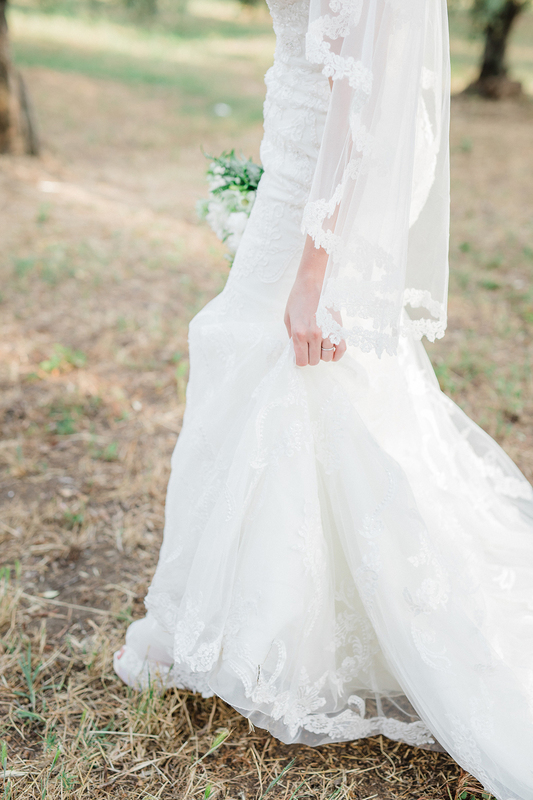 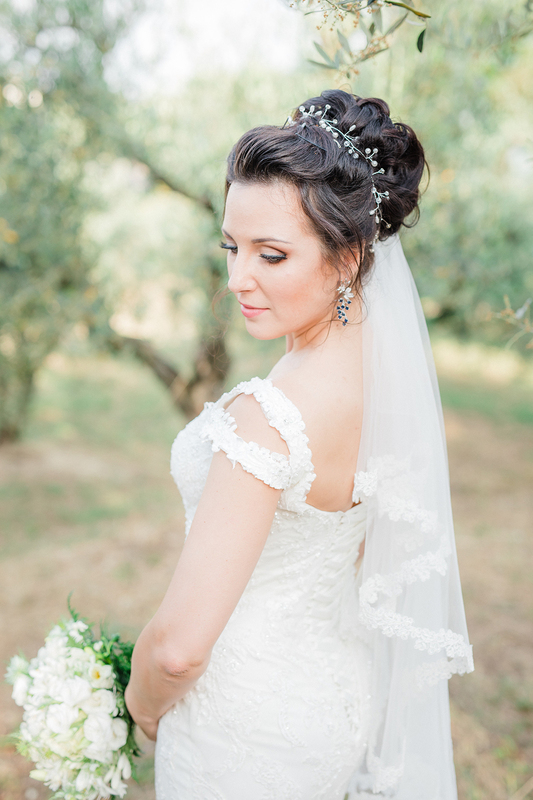 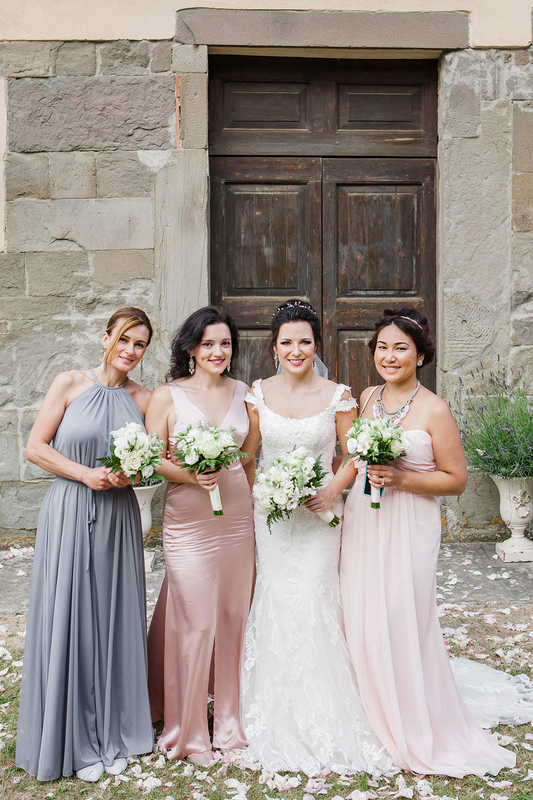 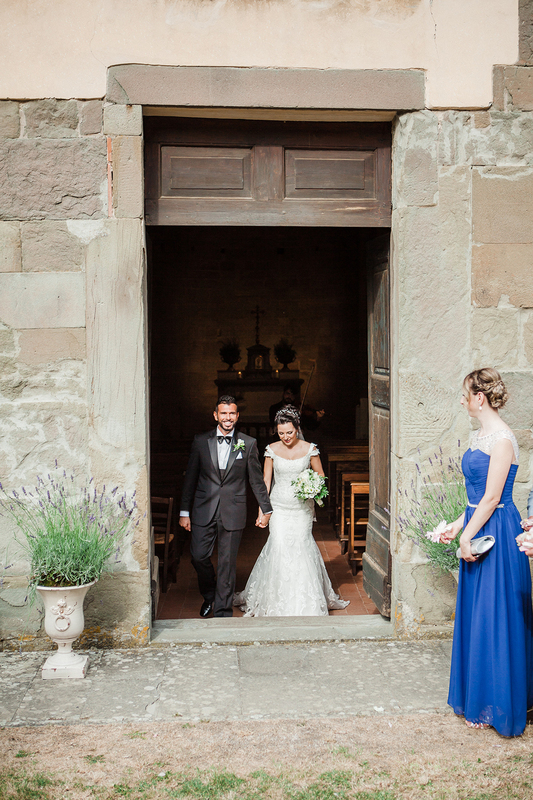 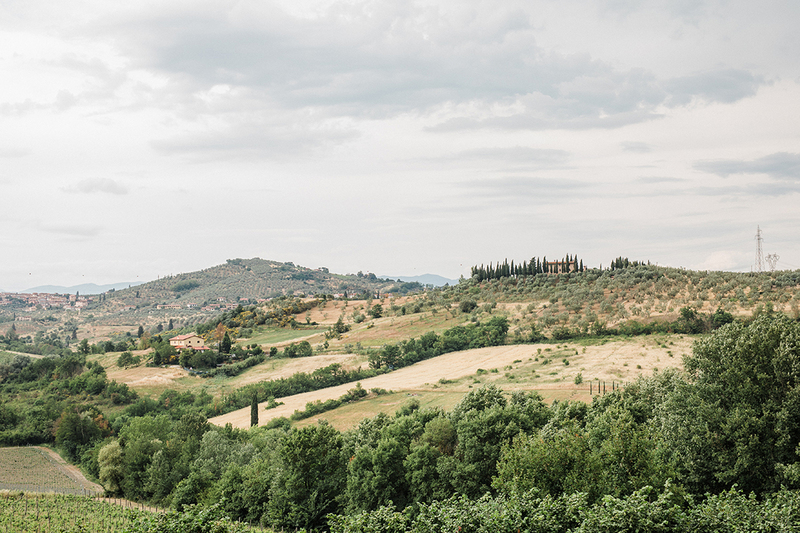 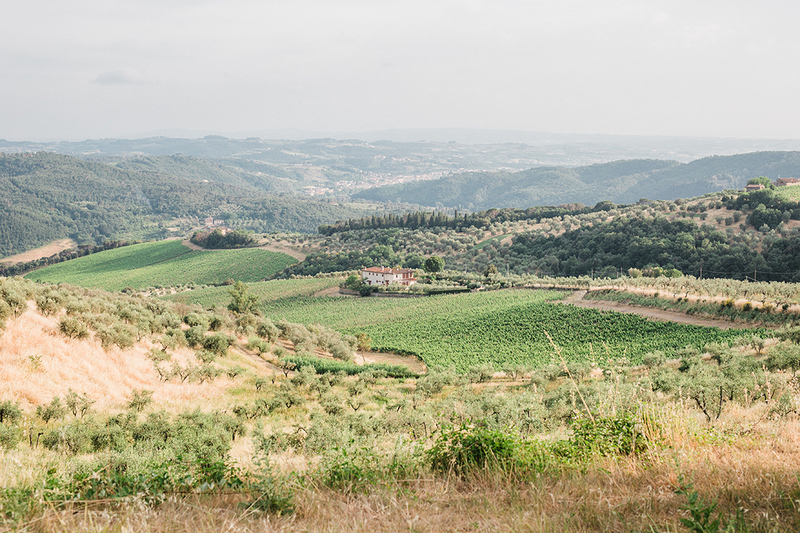 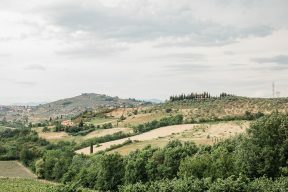 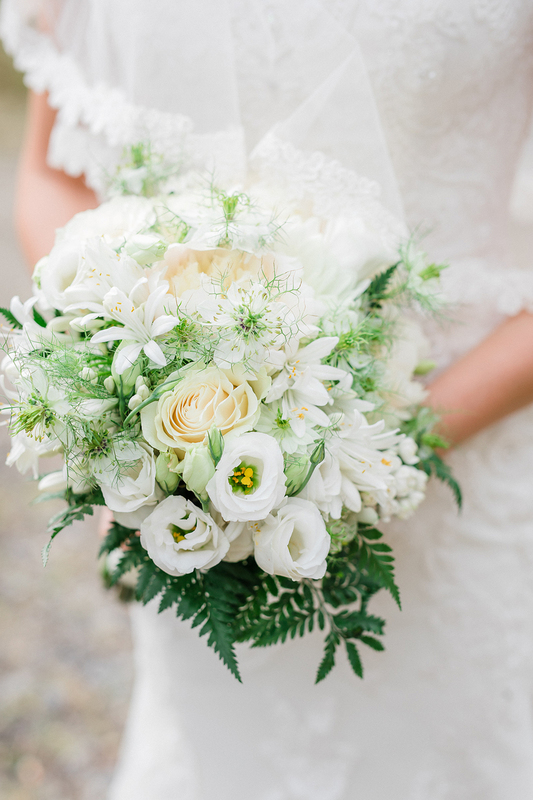 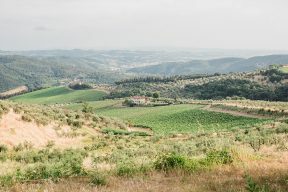 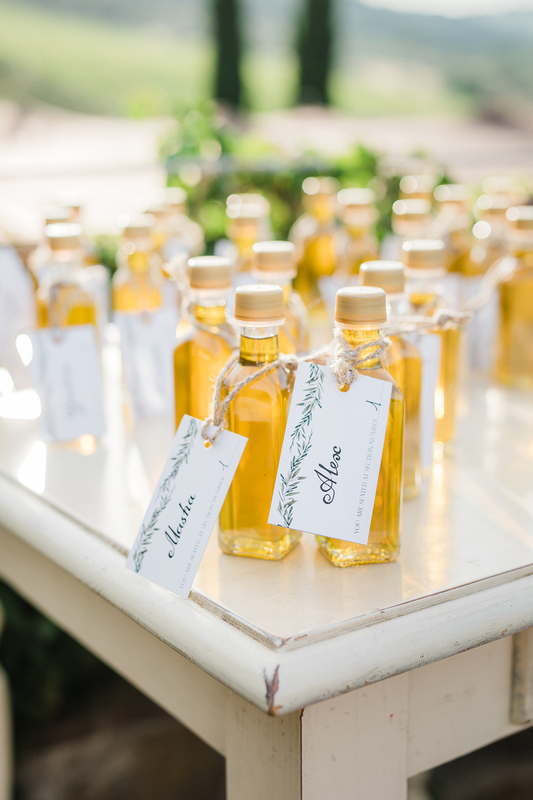 Marco and Olga’s beautiful wedding at Tenuta La Borriana a charming farmhouse in Tuscany, Italy! 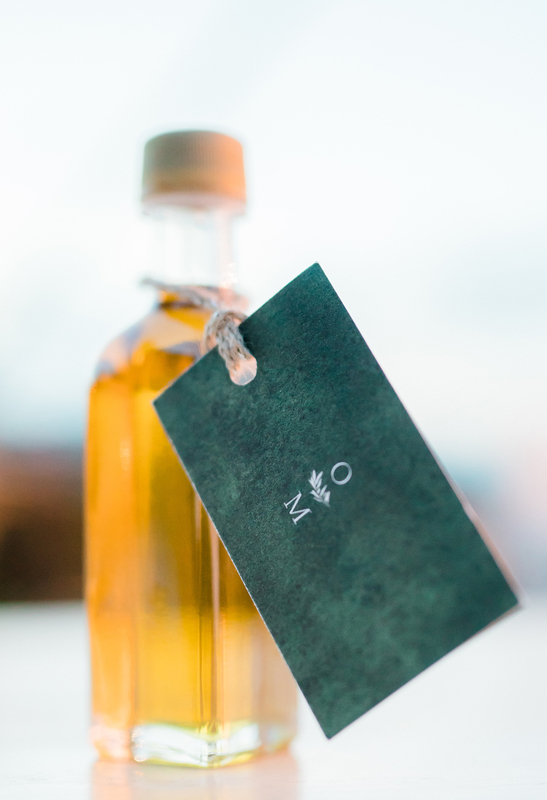 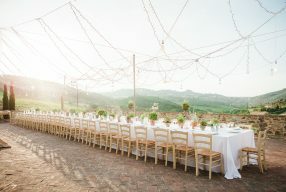 Surrounded by such stunning countryside it is wonderful to see this play a key part in their wedding with a reception set in the outside courtyard for al fresco dining overlooking the scenery. 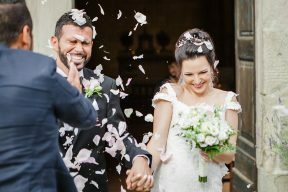 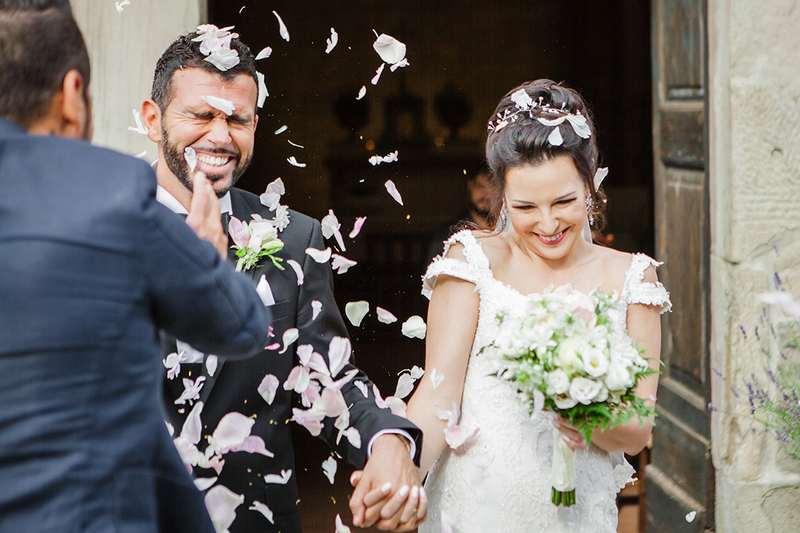 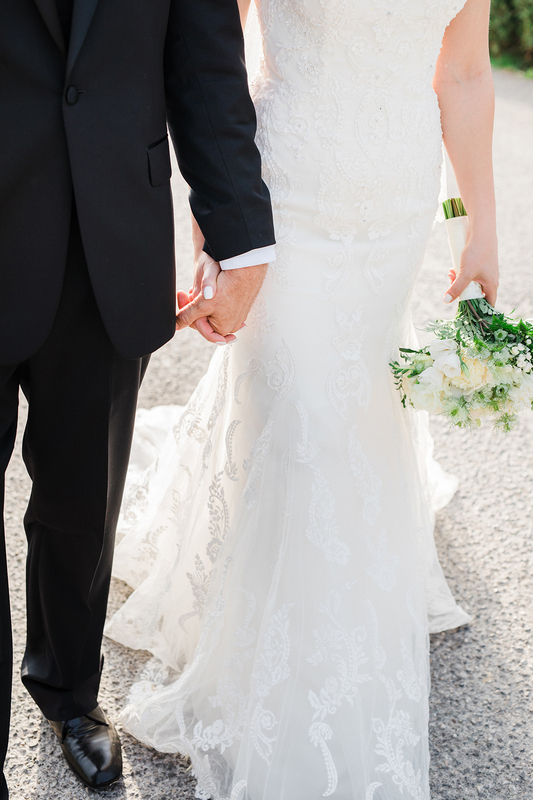 They married in a traditional local church and after being showered with petals by family and friends , they headed to the Farmhouse for their reception. 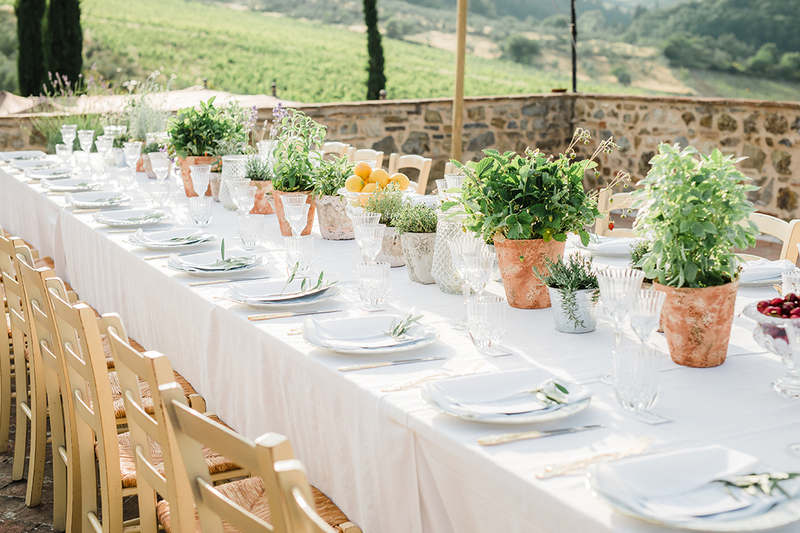 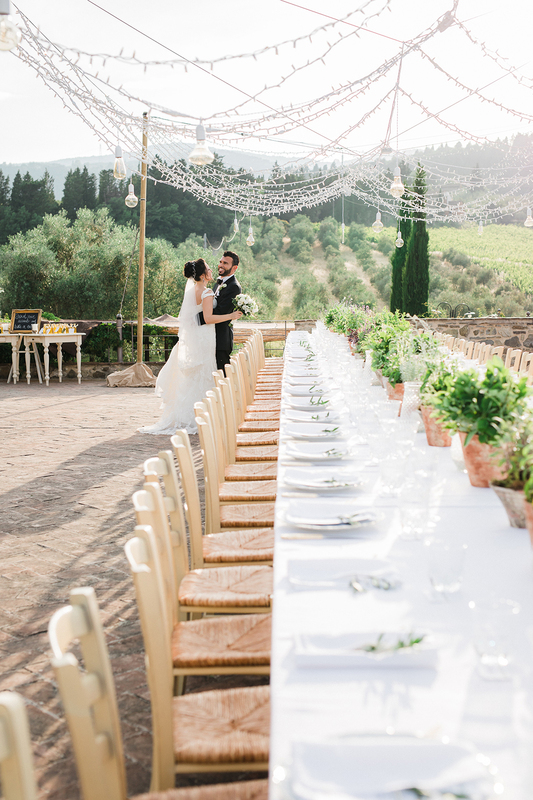 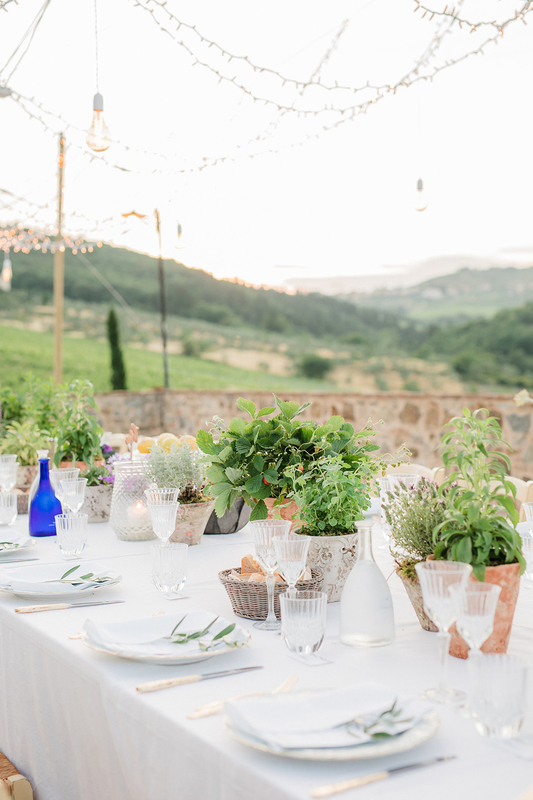 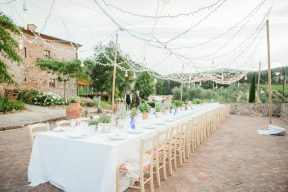 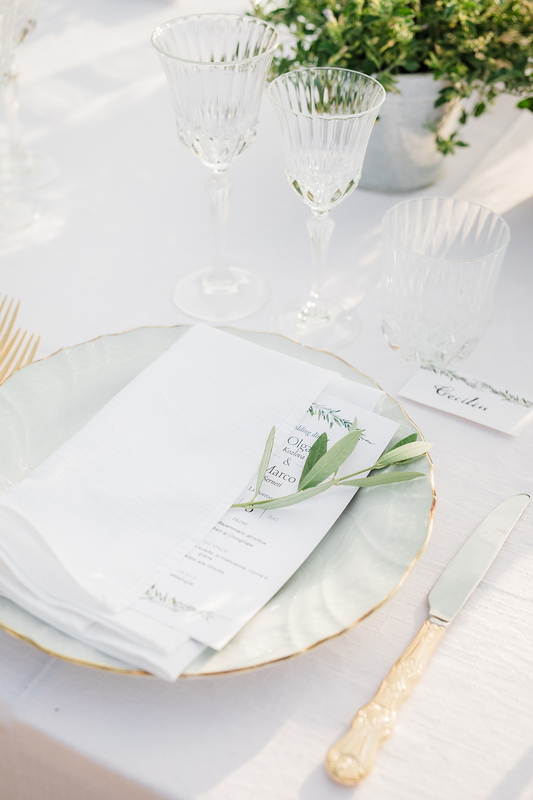 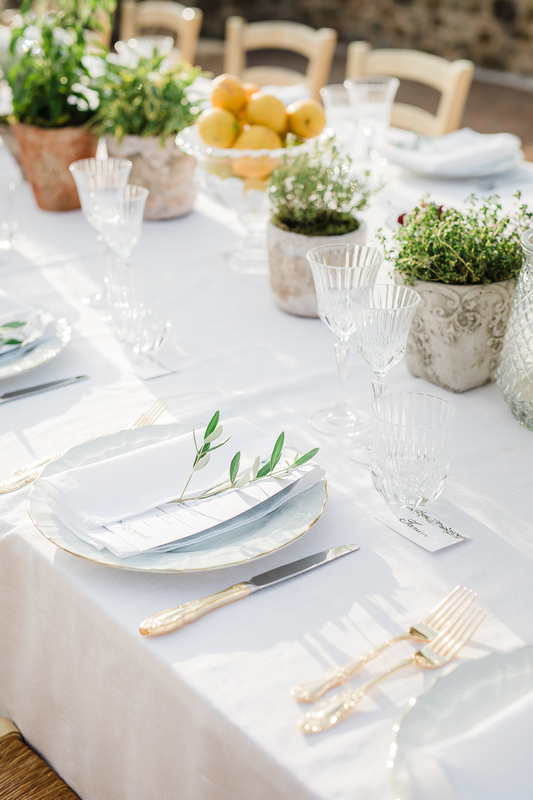 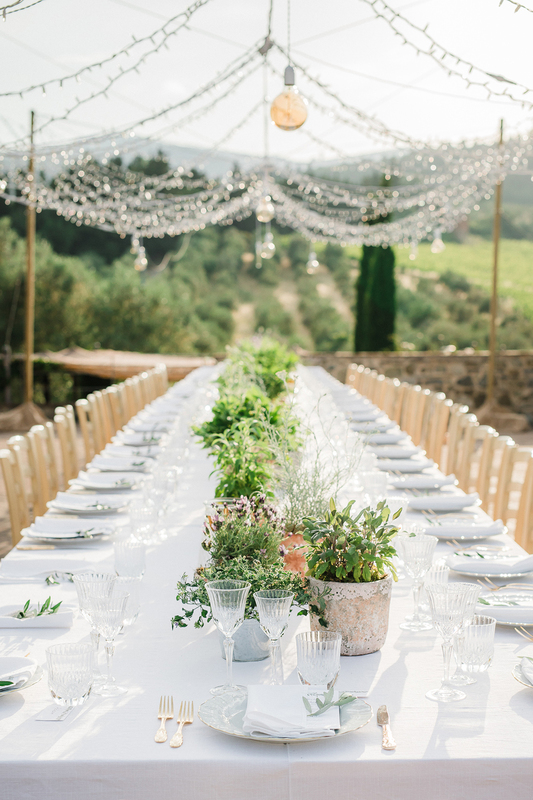 The long table was decorated with rustic terracotta pots of fresh herbs which suit the Farmhouse perfectly, whilst pretty glassware gold rimmed plates and golden cutlery add a wonderful elegant touch. 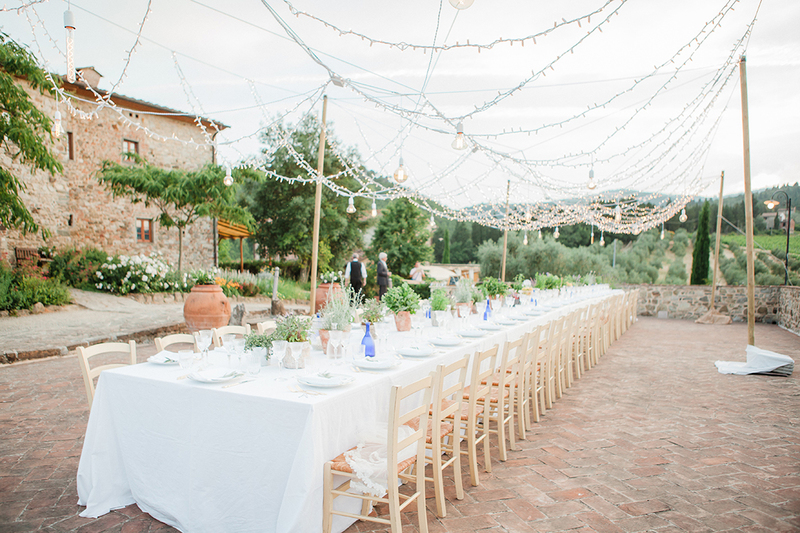 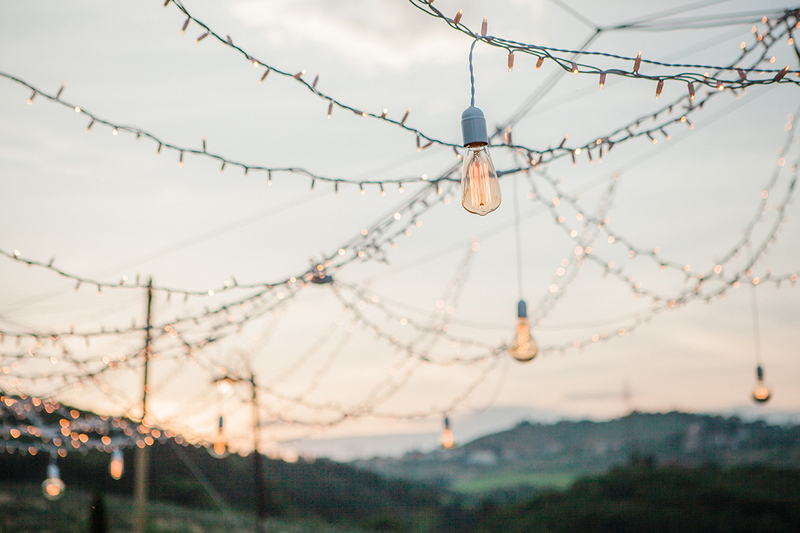 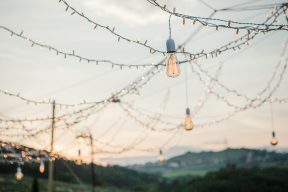 A canopy of fairy lights above the table creates an even more magical look when the sun goes down!